I am in a full-on Christmas mood lately! We took our tree down yesterday because we're spending our Christmases elsewhere, and it made me sooo sad. I feel a little bit better, though, because it has been snowing almost all day today and now the tree is outside covered in snow! I like to think of the snowfall as being a proper burial for our tree. In honor of the season, I made these lovely glittery Christmas light bulbs! I originally found an image of these bulbs on Pinterest, but it wasn't connected to any sort of blog post or article about how to make them. I'm not terribly crafty, but these seemed easy enough to do without directions! My dad has been switching out his big outdoor Christmas lights for LED lights, so I got ALL of the old bulbs he would have thrown away. 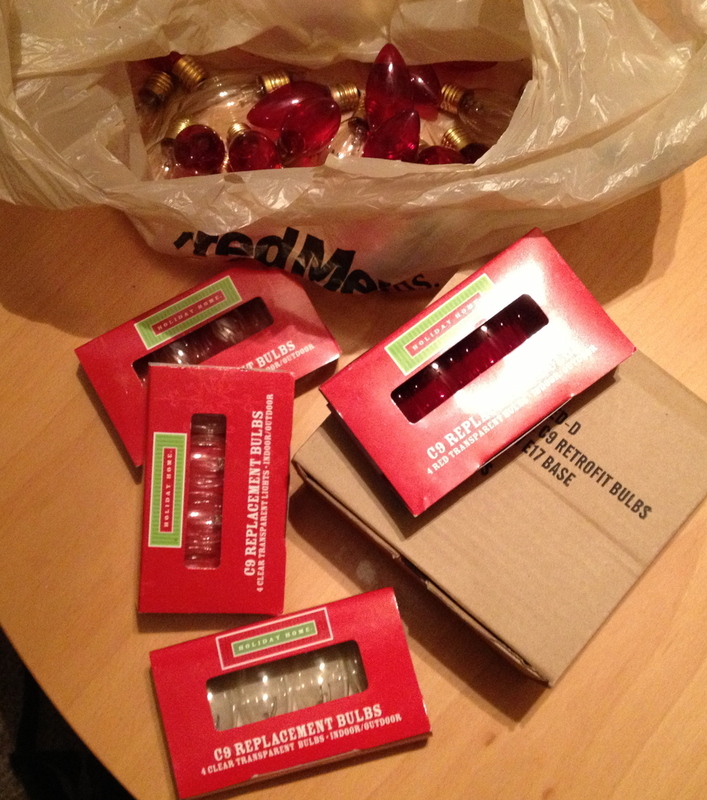 I got nearly 90 bulbs! I'm really excited I could give a new life to the bulbs that used to light up my childhood house. I went to my local Michael's to grab glitter (in seven different colors! ), matte Mod Podge, and a couple of foam paint brushes. I put each tube of glitter in its own plastic cup. (We only had six so I used a bowl for the seventh color.) 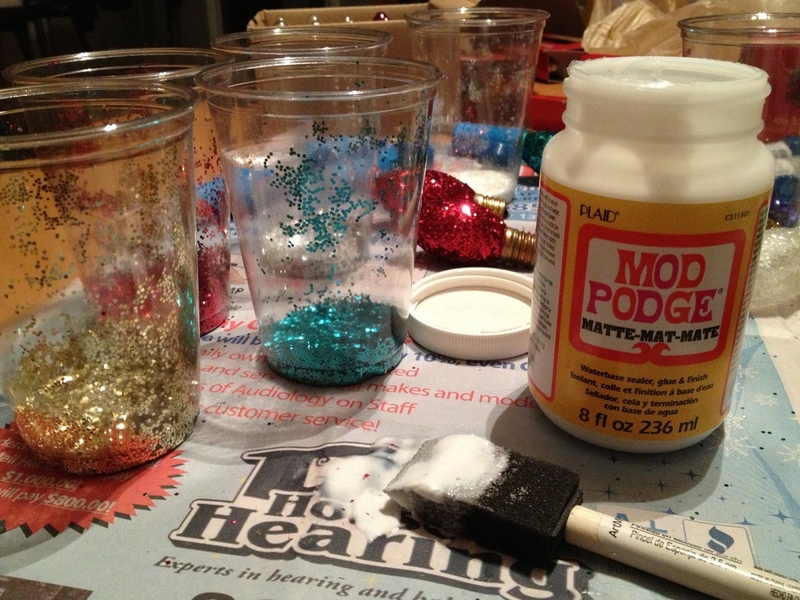 Then, I got straight to painting on the Mod Podge and dipping/twirling each bulb in a glitter cup! Look at how pretty they are! It was totally worth being covered in glitter. And having to clean up glitter. Lots of glitter. I also bought glass vases at Michael's and used them as my glittery bulb displays! I would leave them in a nice bowl but I know the cats would play with them. These bulbs were SO easy to make and I just think they are so gorgeous. I especially like them because you could mix and match colors for different winter themes since they aren't overly Christmas-y. I'm planning on keeping them displayed through January and February!